So here is another wedding that I can’t wait for! 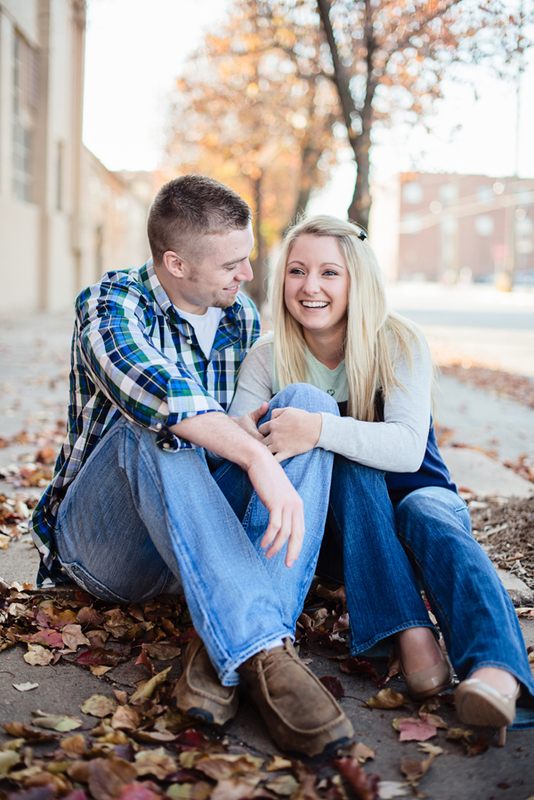 I am so excited they wanted me as their photographer because it is virtually impossible to take a bad photo of them. November was a strange photography month for me this year due to the fact that weather forced me to reschedule all my shoots. Luckily this was one that I managed to get in and I could not have asked for a more pleasant November afternoon. Thad popped the question to Terrin at the Cains Ball Room in downtown Tulsa, so naturally we wanted to do our session around that area. We did manage to get a few fall leaf pics as well as some with their child…I mean dog Jazzy, which were both important to Terrin. 🙂 Had a great time with you guys! Now the countdown to September begins.